"Christmas in July",,, hit it out of the ball park again. BAMM!! 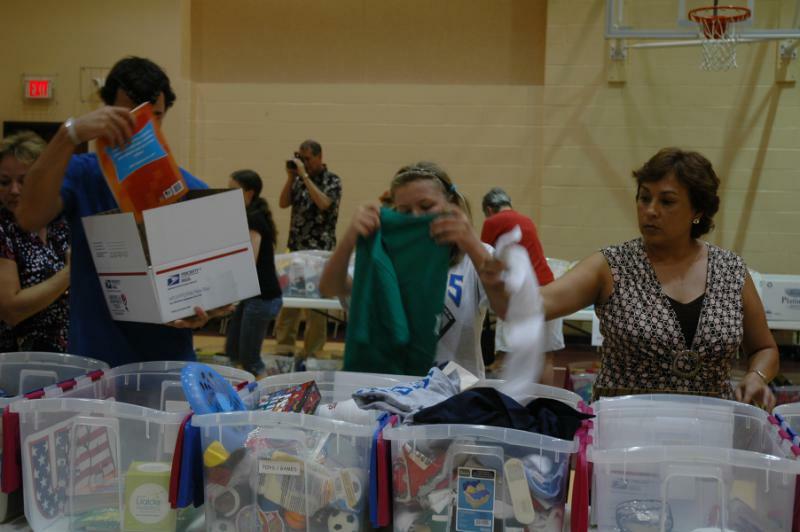 We had a great turnout on the 14th and had 244 boxes packed in one hour. (I need to hire these people to come pack up my storage unit). Santa's little helpers were amazingly efficient and thorough. We started using the large flat rate boxes at the beginning of this year which allows us to add more items to the boxes, so I will be adding up the weight and let you know how many tons we are shipping as opposed to number of boxes being shipped. I will also add a few pictures to the HOME Face book site as well as the HOME website at www.helpourmilitaryendure.org so stay tuned, always more around the corner for HOME. All the boxes are packed and back at the HOME office getting their labels and custom forms attached. The first fifty went out Monday. But do not think things are done. 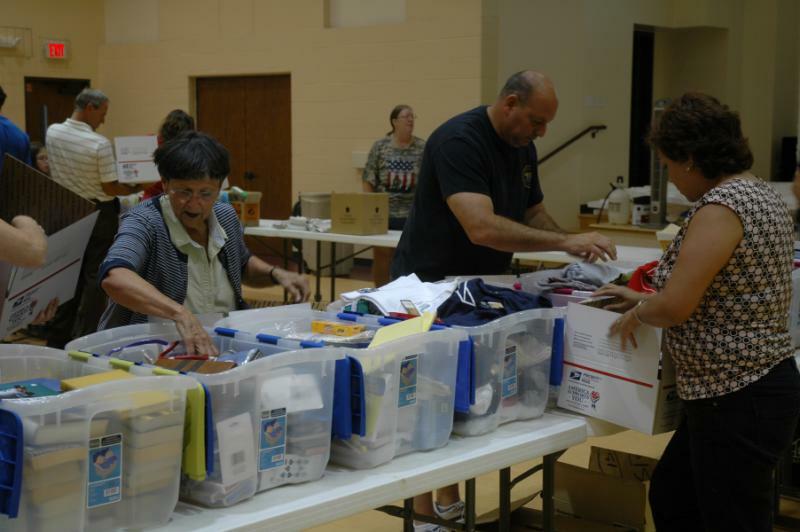 As long as troops are deployed, HOME is working to get care packages into their hands. So we continue to collect items and donations of all kinds. We continue to verify the addresses we have and collect new ones. We continue to package and ship to our military serving. And we continue to ask for letters and cards filled out by you to add to the boxes. 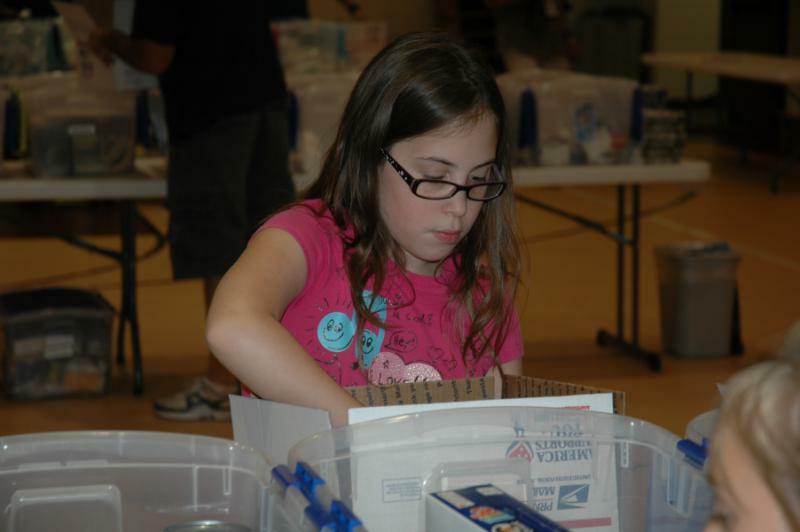 If you have some cards or letters filled out, send them to HOME, you have a donation for HOME send in to HOME, P.O. Box 57636, Webster, Texas 77598-7636. Our next fundraiser benefit will be Sunday, September 18th from noon till 7:00 that evening. A benefit called HOME Awareness at Kemah Gardens Bed and Breakfast located in Kemah. 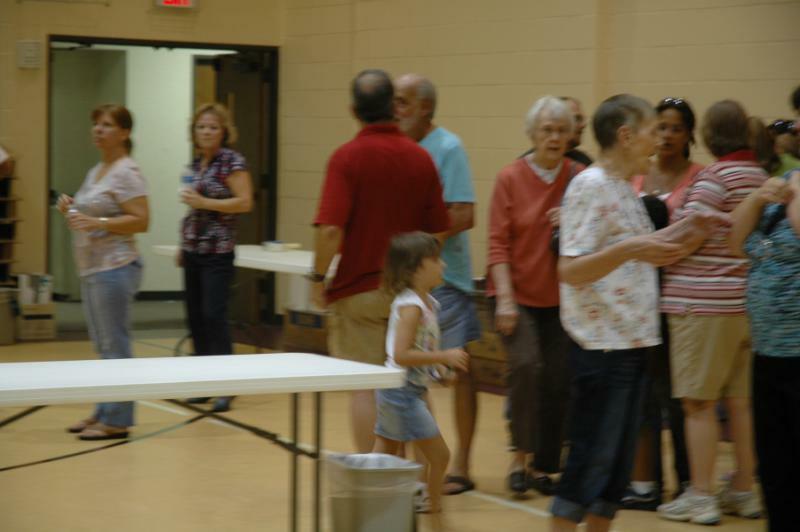 Lots of food, drink and fun for all ages. We will have live entertainment, face painting, someone making balloon characters, information booths set up on how to start a donation drive at your school or church for HOME and information on the next Golf Tournament. Tickets will go on sale soon so save the date and plan to come out and have a great time. Our military doesn't stop,,, HOME doesn't stop. THANK YOU for your continued support to Help Our Military Endure.